I've just attended the Adobe Max keynote in Los Angeles where Adobe CEO Kevin Lynch has announced a number of new Adobe Touch applications. All applications have been designed for touch (as you can tell by the name), and specifically for mobiles and tablets. What was nice to see was that most of the applications were actually demoed on android devices, specifically the Samsung Galaxy Tab. 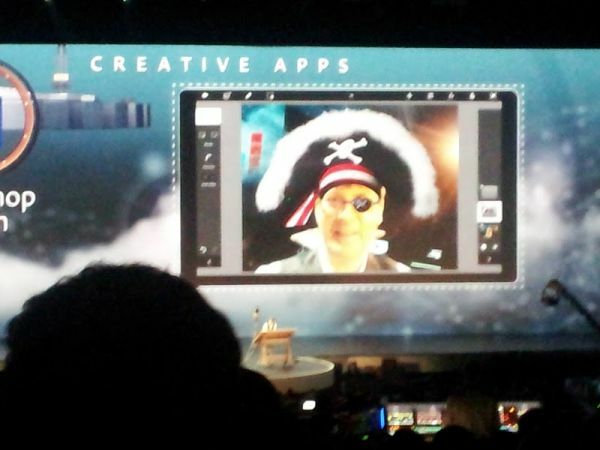 It shows Adobe really see the potential with android, and are willing to support it. Adobe Photoshop TouchÂ allows users to transform images with core Photoshop features and create new images by combining photos, choosing elements to edit, and applying filters and other effects. Adobe CollageÂ helps creatives capture and refine ideas and concepts by allowing them to combine inspirational images, drawings, text and Creative Suite files into modern, conceptual mood boards. Adobe DebutÂ allows creative professionals to present designs to clients and stakeholders virtually anywhere, opening tablet-compatible versions of Creative Suite files for convenient and beautiful viewing on the tablet. Adobe IdeasÂ is an easy-to-master, vector-based tool for drawing, using either a stylus or a finger. Adobe KulerÂ makes it easy to generate color themes that can inspire any design project. Â Adobe ProtoÂ enables the development of interactive wireframes and prototypes for websites and mobile apps on a tablet using gestures and a touch-based interface. Photoshop Touch is fantastic too, nothing like the current mobile Photoshop app at all. This one has all the features of the desktop app, plus more! A fully featured Photoshop app on your tablet, designed with touch in mind. I'm very impressed with what Adobe are beginning to offer!